Computer Programming for Beginners or computer programming course for beginners or computer programming jobs for beginners or computer programming classes for beginners or computer programming top colleges/Institution in India. 5. The Career in Computer Programming. The computer is one of the finest outcomes of technological advancement. Usually when you use a computer it direct things like, if you want to access the 'My Computer', you double-click on 'My Computer' and access the drive which you want to view but it is not that easy because such a computer is programmed to do the commanded tasks. 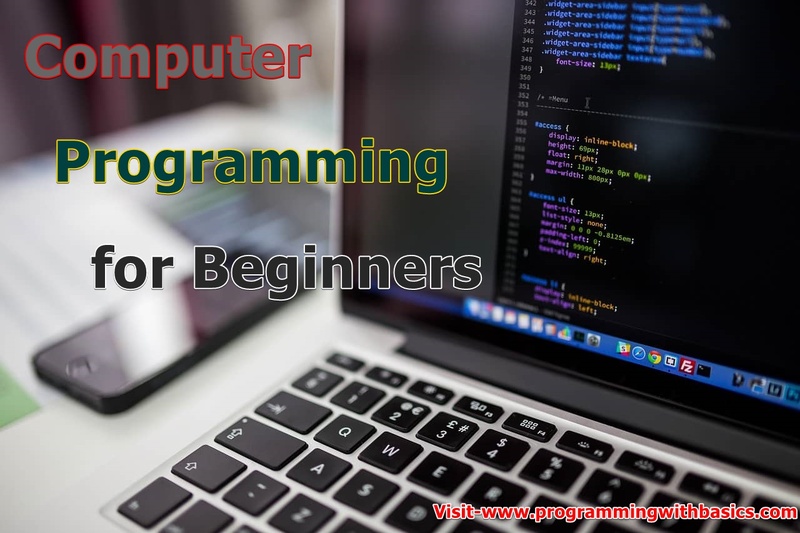 This article is about telling the beginners about the programming and how if they are interested in it they can go for it as a full-fledged career or they can learn to programme as an interest-based learning. Programming is a set of instructions which we use in programming which involves activities such as analysis, developing understanding, generating algorithms, verification of requirements of algorithms including their correctness and resources consumption, and implementation. This is commonly referred to as coding of algorithms in a target programming language. Programming is used for software development, website development, and all other functions you can think of which are conducted by a computer. All the functions in a computer are programmed to do so. The programming is a base for all the computer operations. While going for a course on programming, students should know which language they should start from but not get hung up on choosing languages. There are various languages to choose from PHP, Jquery [Website Development], Android, Python [Mobile Software Development], Java [Software Development], C language and various other languages which a beginner can choose from to learn programming. After deciding which programming language, then it's all about how you use it for software developments. This is what programming is all about. The programmer's job is to convert and create a problem-solution kind of algorithm as instructions for a computer such as - when you want to find out a nearby restaurant and Google maps do it easily for you, the problem and solution for that is provided by the programmer. When someone types 'nearby restaurants' on the maps it will display all the keywords matching to restaurants and which are nearby to users. That how programming works as it was set in the command how it will go about functioning. There are a lot of career opportunities for computer programmers because of the rapid technological advancement and students can opt for the various different fields of programming itself. There are fields such as web designing, software development, developing game and others. If programming is where your interest lies you should go for it and be updated with the new developments in that field. Passion is driving force for satisfaction in any field. Kishore Kumar is a well-known blogger and content writer. If you have any Query/complain/suggestions regarding this post, you can comment or contact to author of this post. You can always read his posts on www.getmyuni.com to know how to reach your objectives easily. Know more about Kishore Kumar Click here.